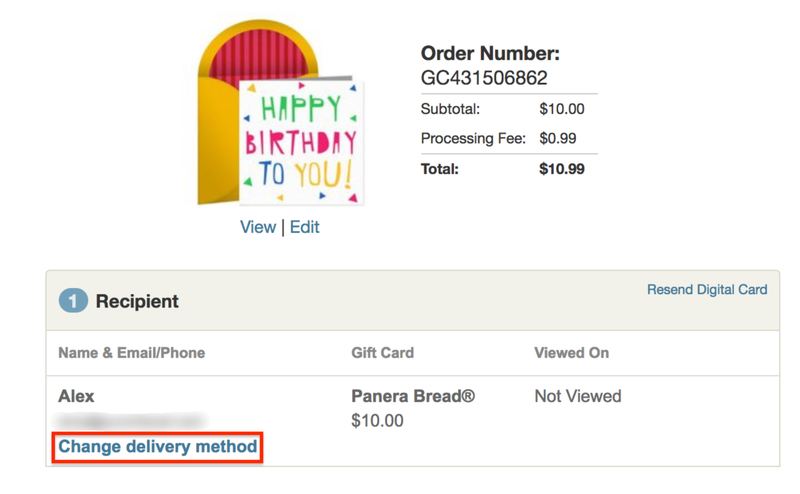 Can I send my Gift Card to a different email address or phone number? Yes, you can send an unviewed Digital Card that included a Gift Card to a different email address or phone number. Note: If the Digital Card has already been opened by the recipient, you would be unable to send the card to a different email address or phone number. Choose the Change delivery method option. Simply enter the new email address or phone number and send.